Now, I never thought I’d be inspired by anything Clive Owen said or did, but inspired and heartened I was by his views on monogamy and family. I’m excited that any modern man can feel like that and honour and cherish their family above all else. Oh, and he is finally turning into a reasonable actor too. 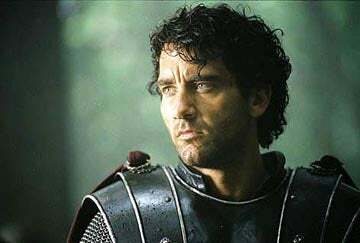 Watching his recent turn as King Arthur, it made me wonder where the warriors of our world have gone – those men who fight for love and cause with braveness and integrity. There is no modern day equivalent and all women can weep for that.